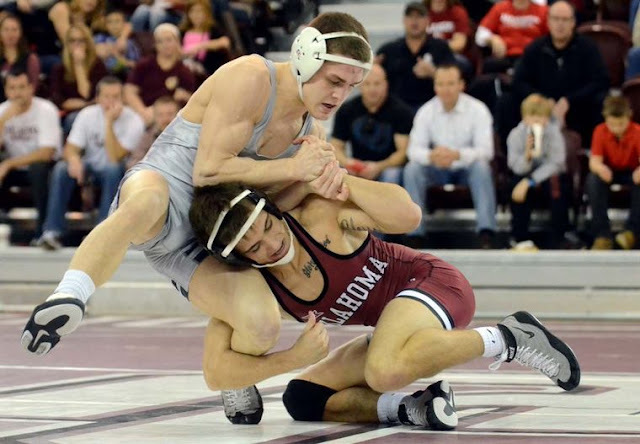 Ryan Millhof, who placed seventh at 125lbs for OU, said he has requested a release from the school. He's the first athlete to leave after a string of departures from the coaching and training staff. Three former Sooners -- all NCAA champions -- have left the program. Cody Brewer and Andrew Howe both went to Northwestern and Kendric Maple just signed on as assistant coach at Purdue. Mark Cody, who led the Sooner coaching staff for five years, stepped down earlier this month. Long-time assistant Michael Lightner was named interim head coach. Millhof came to Oklahoma as the No. 21 recruit in the nation, and earned All-American honors in his true sophomore season. He still has two years of eligibility and a redshirt season available. But because of the timing of these developments, the path to a new school is tricky.